Quick reminder before we dive into this post: my birthday giveaway and blog party is ending in two days, so check it out if you haven't already. Hey everyone! This is Christina from over at Fairy Skeletons, reporting for duty—and here today to talk to you all about designing book covers as a writer. I've loved graphic design since I first started making covers around three (!!!) years ago, and since then, I've made nearly two hundred covers. But I'm still pretty much an amateur, and my process isn't quite set in stone yet. The steps I share today will be very bare-bones, and it's important to know that you aren't confined to them. But why should I make a book cover? It's not strictly necessary, of course, and some writers might get along better without them. But personally, I've always loved having a central image that I can focus my story on, and what better central image than a cover? This way you can capture the mood and aesthetic of the story in a single design, helping keep the feel of your work cohesive. Additionally, if you're planning to post your work on an online writing community like Figment or Wattpad, a stunning cover is essential to getting an audience. To pull out a cliché (come on, you all knew it was coming), people do judge books by their covers. Some things you can add to this form include "Mood of Story", "Image Ideas", "Desired Colors", "Desired Fonts", "Character Descriptions", etc. Obviously if you're only designing for yourself, all of this information is going to come to mind immediately; no one knows your story better than you do. If you're designing for someone else, be sure to get all of these facts from them! This helps you have a better handle on what they want. 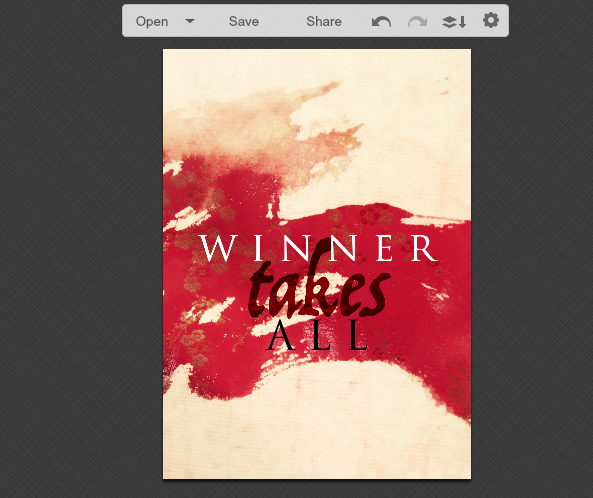 For the purpose of this tutorial, I'll be making a sample cover of my gracious host's WIP novel, Winner Takes All, which many of you dutiful followers (minions?) will have heard about already. Put characters on the cover. Put relevant symbols or items on the cover. For a minimalist effect, look for icons and/or that relate to the story. Silhouettes in general are really cool. Get textures that evoke the feel of the worldbuilding. Some places you can look: Pixabay.com - Really nice website full of public domain images. Not great for pictures of people, but lovely for general things like high-quality nature pictures. DeviantART Stock Section - While this resource is absolutely pure gold, I'd like to warn everyone to use it with caution. Each stock artist is going to have specific rules for usage of their art, and it's our responsibility as designers to read and adhere to these rules. If a stock artist doesn't want you to use a piece outside of DeviantART, don't do it. 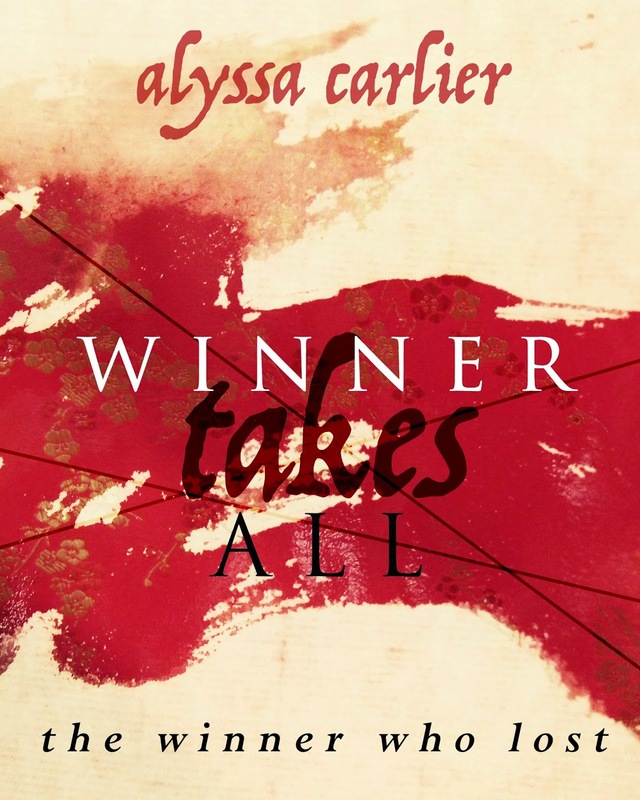 I knew that Alyssa's Winner Takes All is a really darn good novel with gorgeous writing and cutthroat politics (sometimes literally!). There were pretty heavy elements of Chinese culture and a really stark but beautiful atmosphere. So I wanted to emphasize that element—without putting any characters on the cover, because I felt that Alyssa's book wouldn't carry a character-centric cover well. Then, if you've got more than one base image, you'll want to position the images in a way that's cohesive and not too busy. 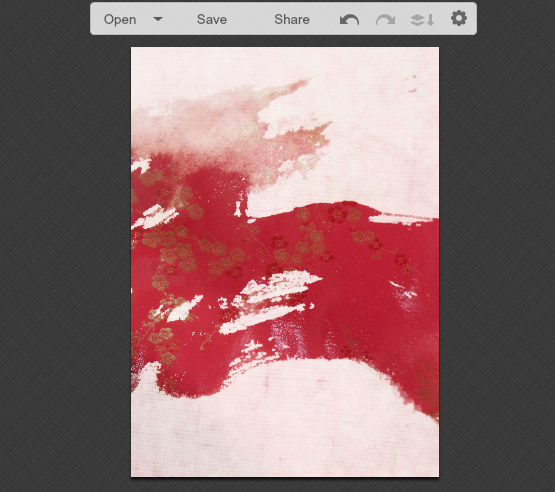 For my fabric image, I inserted it into PicMonkey as a texture and then played around with blend modes until—surprise! I got this lovely combination. 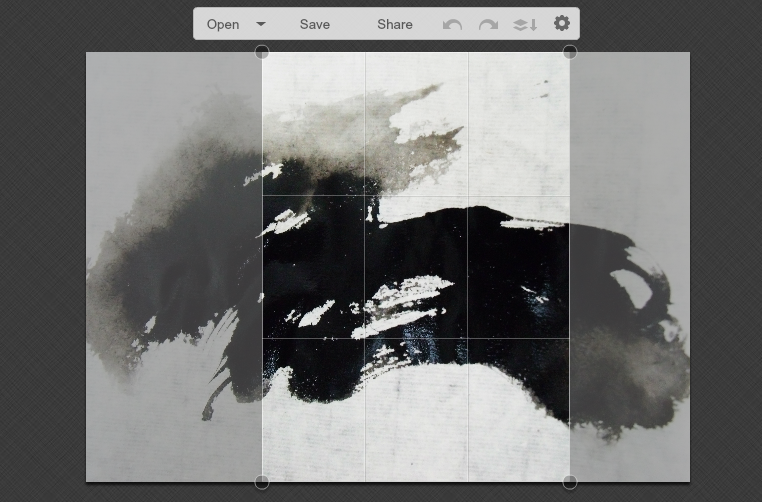 Pro(ish) tip: Blend modes are one of the little known 'secret weapons' that PicMonkey has. 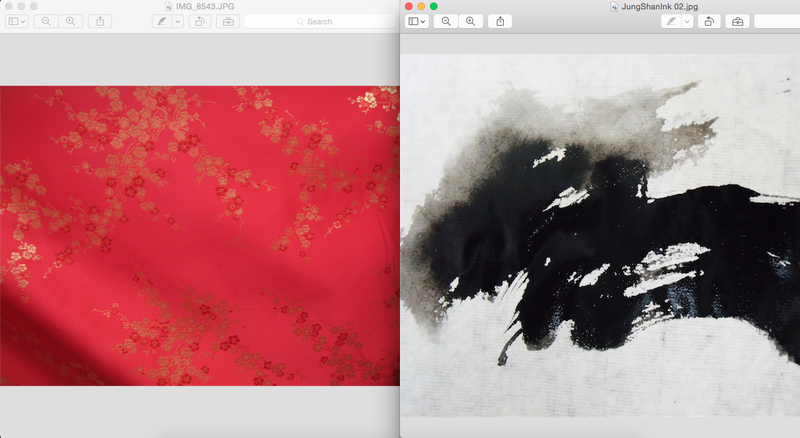 They can drastically change the look of a design, for both text and textures, and they're incredibly powerful. Once my image setup is complete, I start with title treatment. This varies widely depending on what fonts are available and how we can adjust them. It's hard to get a feel for typography, but some tips: emphasize central words with really deep connotations. Utilize the power of caps vs. lowercase. Always be conscious of color and alignment. In the case of WTA, I wanted to have a sweeping, dramatic serif font somewhere on the cover with a more bleed-like font for the word 'takes'. Eventually, I settled on Trajan Pro 3 (amazing font, and really versatile) combined with Trattatello (which is really only good in small amounts, IMO). I placed the title nice and large in the center of the cover, since the title is absolutely golden and should be the main focus here. I again employed my wonderful blend modes in adjusting the coloring of 'takes'. Then, author name and decorations! Sometimes this also includes a 'subtitle' of sorts (I added in Alyssa's subtitle of "the winner who lost" in Perpetua, because holy crap that's an awesome phrase). 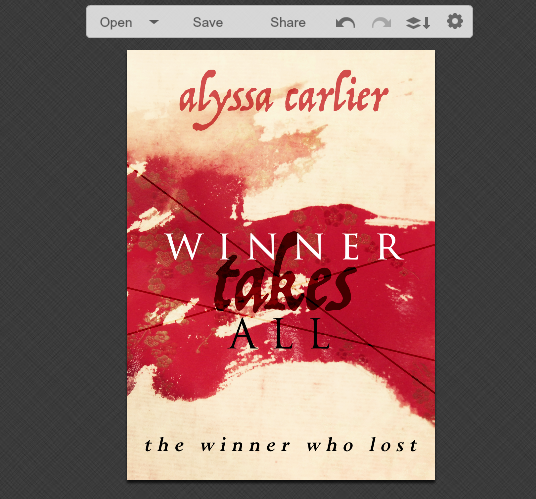 I made sure to add Alyssa's name in next, prominent and in a color the suited the rest of the cover. In most cases, only two main fonts and two or three text colors are necessary—any more is probably it. After some final readjustments, like slightly changing alignments, fiddling with text size, applying any last filters, etc., your cover is now ready to show itself in public! I had to do some last-minute cropping because I realized that the cover wasn't Figment-sized (4 x 5 proportions), and that might be important, since WTA is on Figment. I also added one more filter or so to really bring out the bold colors. And there you have it! A basic six-step design process. Happy art-ing (not a verb, okay), everyone, and even happier writing to you all! Christina Im is a teenage wordsmith and ardent believer in ghosts, mildly (ha) obsessed with mythology, history (politics and revolution and war! ), and powerful women. She talks writing, reading, and all the detours in between on her blog, Fairy Skeletons, and humbly thanks Alyssa for enduring her overuse of semicolons and extremely long, rambling guest post. Also, she'd love to chat on Twitter @clocksandcages if you have any questions, and she laments her inability to write effective third-person bios. I'm glad you found this helpful, Aimee! Ooh, I hadn't noticed the timing but yes, this should be useful for Camp NaNo ... so long as you don't get distracted halfway and lose sight of your writing goal. I KNOW RIGHT. Christina is such a talented and lovely person! This is such a great post! :) I'm quite interested in graphic design, even though I don't have very much skill in it, but I love to look at book covers. All of yours are beautiful! Argh, these are so beautiful! I've wanted to learn how to make book covers for awhile now, so this is pretty helpful. Lovely post! I KNOW. I KNOW. Christina is frighteningly talented. I'm glad you found this useful -- I couldn't be more excited when Christina sent it over! That seems to be the consensus, ahaha. May the words be with you! A) I don't know how I didn't see this post. B) That is probably as gorgeous and perfect a cover as I could think of. C) This post was incredibly useful and even though I am not that good with visual things I feel like I can use this again. Haha, that's okay, Heather. *whispers* I always overlook blog posts too. And I KNOW. Christina's just an amazing person to whip that up somehow. And who knows, maybe a cover is what you need to get that muse up again. And one sort of graphic design can easily translate into designing something else, like blogs. All skills are transferrable, so even as writers, we should be on the lookout to learn something new! Mmm, yes, other people's processes are *such* fun to read about. And I have this feeling I'll refer back to this post constantly as I kamikaze through mss and need covers for self-inspiration. ALL THE SLOW CLAPS AND TAKEOUT FOR CHRISTINA. Honestly, I was so excited when I prepped this guest post. Wow, this was SUCH a good post. I can really use this info for designing covers in the future! 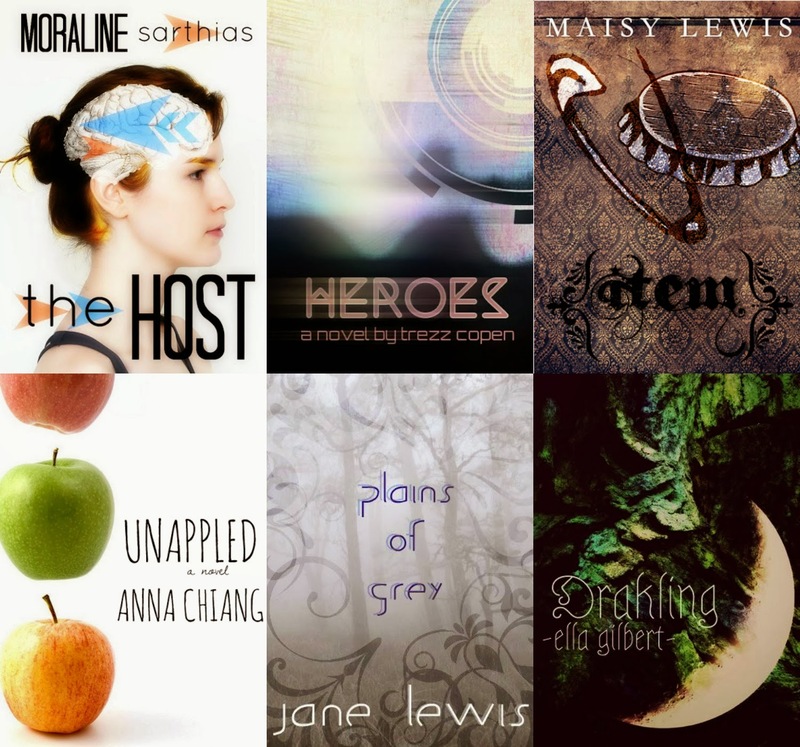 Seriously, Cait, the covers on your blog are GORGEOUS. (But you know, everyone can borrow a little talent sometimes. XD) I normally use GIMP, because I learned a few tricks at school, but PicMonkey is a wonderful alternative and I might mess with it sometime as well. Have fun! I love making covers so much. SO much, I tell you. I haven't heard of the Pixlr editor program, so I'll definitely have to check that out. I'm glad you managed to learn something from this post -- I'm not the best at cover designs, but I do it sometimes when I'm procrastinating the actual writing XD I KNOW. CHRISTINA IS FABULOUS AT DESIGN.